Zindagi - Jodey Dilon Ko brings to you yet another romantic love story that will make hearts flutter. 'Neeyat' an upcoming serial on Zindagi . It is directed by Mehreen Jabbar . Originally this tv Serial is broadcasting on Ary Digital in Pakistan. The serial is written by Larry Pontius. 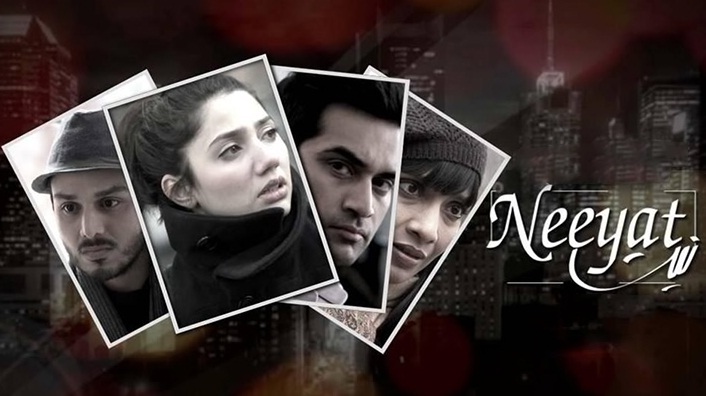 Neeyat is the story of three people living in the emotionless society of New York. Two of them belongs to east in the past and settled in the New York for living. Aila and Sikandar are in love with each other and want to get married but Sikandar decided to settle down before the marriage. He wants to get the green card and that is why Aila arranged a paper marriage between Sikandar and Marium. It is a perfect serial based on the life of Pakistanis living in the foreign countries.